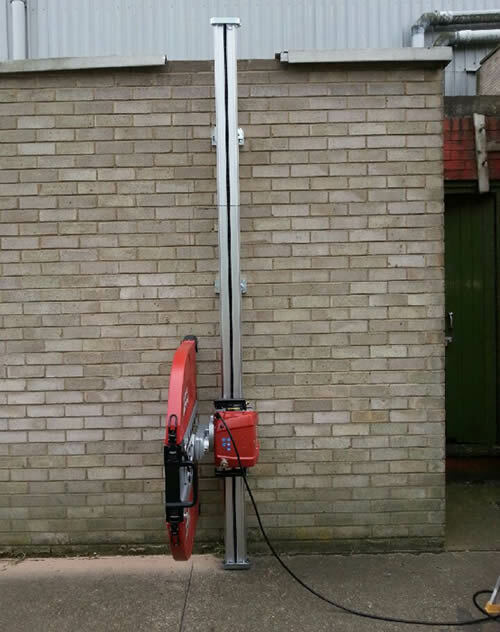 SCS own a range of precision sawing equipment for all cutting requirements, from small apertures in brickwork to large openings in concrete slabs. We also carry out the installation of lintels where required. Our comprehensive range of plant includes large petrol and diesel floor saws for deep cutting and bigger contracts, propane gas powered floor saws for poorly ventilated areas and electric floor saws for extremely sensitive areas. 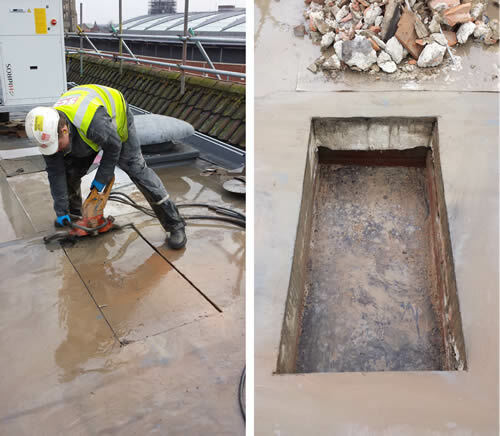 We have the ability to cut small areas of concrete floors through slabs up to 500mm deep to facilitate removal of concrete sections in demolition and refurbishment projects, major road contracts where thousands of metres of asphalt need to be cut, or saw cuts to form expansion joints in newly laid concrete slabs. SCS have recently added to our saw cutting fleet with the purchase of a Hilti WS15 Wire Saw. 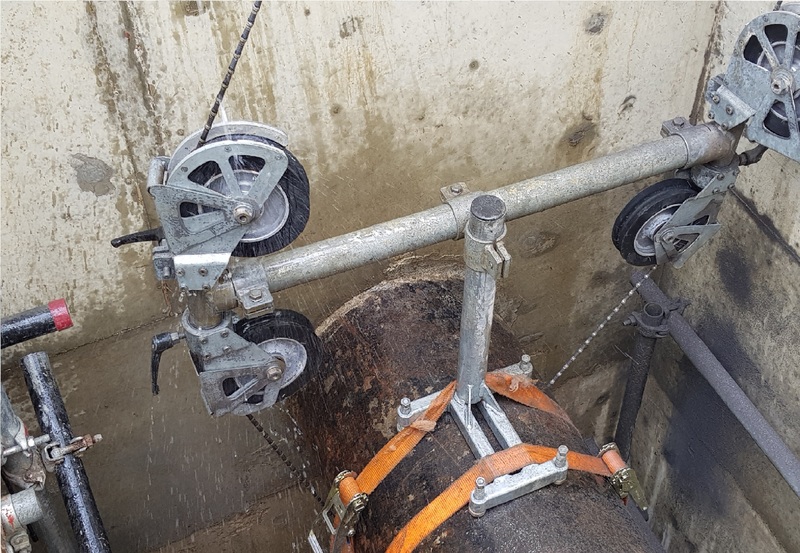 Diamond Wire Sawing is the ideal solution for the removal of large areas of heavily reinforced concrete where access is restricted, such as bridges or the removal of columns or beams. The wire saw is easily the fastest and most flexible method of cutting ANY substrate at ANY depth, and leaves a clean, smooth surface with no damage to the surrounding structure. With its remote controlled operation it is also an extremely safe method of working. Wall saws operate along a fixed track, enabling operatives to work without the risk of hand arm vibration to form precision cuts in concrete. Some machines can be operated wirelessly meaning the operative does not need to be in the same room! Our collection of track mounted saws ranges from the smaller 110v electric wall saw for cutting depths up to 200mm to powerful 3-Phase and hydraulic wall saws for concrete up to 720mm deep ensure we have the correct machine for the job. 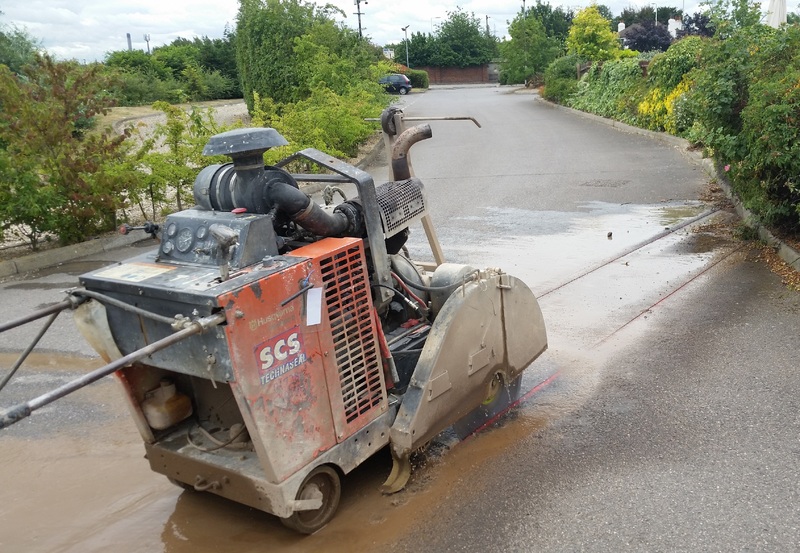 We have a fully-automated computer-controlled track-saw which is programmed on site by our operative to cut reinforced concrete walls and slabs to a precise depth and length and completely isolates the operative from the cutting head. 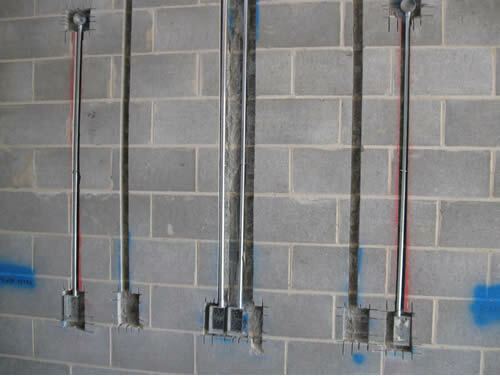 We carry out chasing to all types of brick work, block work, concrete, screed and tiles for electrical trunking, conduits and sockets which is virtually dust free. Our experienced operatives are fully trained on all our cutting equipment. Safety is of paramount importance to us and all health and safety regulations are followed when using such equipment.